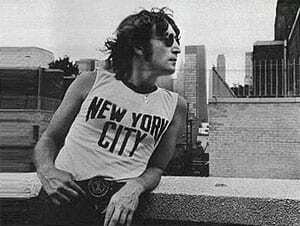 Yesterday marked the 30th anniversary of John Lennon’s death. The legendary musician, who was returning home after a recording session, when was shot and killed in front of his apartment building in New York City on December 8th, 1980. Marcantonio is currently wrapping a project—which he has been working on for much of 2010—to pay tribute to Lennon and raise funds for the Nashville Engineer Relief Fund (NERF). The All We Are Saying … project will feature a collection of songs from Lennon’s solo years, sung by Nashville artists handpicked by Marcantonio. The artists were chosen for their appreciation and passion for Lennon’s illustrious contributions to modern music history through his work with the Beatles and his solo years. Some of the artists involved include Rosanne Cash (“Look At Me”), Rodney Crowell (“Oh My Love”), Foster and Lloyd (“Crippled Inside”), Jeff Hanna and Matraca Berg (“Whatever Gets You Through the Night”) and Gretchen Peters (“Love”). The artists, studios, musicians and engineers all donated their time for this project, for which Marcantonio served as executive producer. All We Are Saying … will be distributed worldwide by Sweetwater Sound in early 2011. One hundred percent of the profits will benefit NERF, which supports the audio engineers in the Nashville community. “I’m an engineer who was helped out during some very rough times by this fund, and I wanted to help the organization that assisted me,” Marcantonio said.